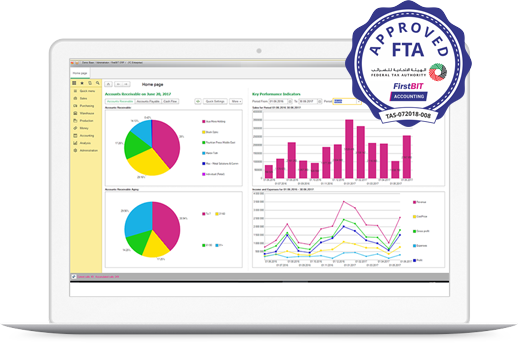 FirstBIT Accounting is the UAE’s Federal Tax Authority approved accounting software. Create multiple entities in one database and have simple consolidation of the data. Start working on our desktop version and later migrate to cloud version and vice versa without doing any complicated migration of data. Concurrent user licensing allows you to purchase an accounting software at a lower cost. FirstBIT Accounting is designed with local users and the UAE legislation in mind. With its development team present in the UAE, the accounting software is instantaneously updated based on the changes with the UAE Law. We're here in the UAE with SLA-based hotline support. Our support team is knowledgeable in specific features of the UAE’s VAT legislation. Automatic updates of your database in full accordance with the latest changes in the UAE legislation, including new regulated report forms. * If within 30 days of purchase, you are not 100% convinced that FirstBIT Accounting is the best accounting program for your business, we will refund your money. For сloud-version only. For first-time customers only. “The FirstBIT Accounting solution allows us to keep accounts in line with the UAE local law while at the same time preparing financial statements according to international standards. Our accountants are now fully capable of analyzing client activities and key financial performance indicators without resorting to manual calculations. Reports are now coming faster thanks to flexible configuration capabilities based on our specific needs and demands. “Our company needed an accounting system to help us keep control of goods movement from purchase to handover to clients and receiving payment for shipping. 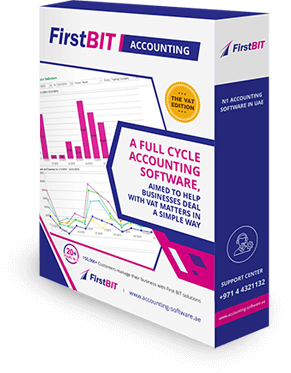 With FirstBIT software we got a convenient high-quality accounting system, and the additional improvements implemented by First BIT provided us with all the necessary tools while taking into account the specific nature of our business. As a result, not only did we speed up and increase the quality of control over incoming payments, but also increased our income. Customer loyalty also increased owing to the discounts and gifts functionality. “One of the important advantages of FirstBIT is full compliance of its accounting system with the UAE law. First BIT experts installed the software and performed all necessary setup, entered initial balances and required changes in the chart of accounts. The initial data was moved from Excel to an information database. The invoice to the client for paying the order is generated automatically based on the job card. Standard reports were modified taking into our account individual needs. The FirstBIT product enabled automating the calculation of salaries and other payments as well as the accounting of internal loans to employees. A reliable accounting of expenditures by cost items allowed controlling the company expenditures and increased accuracy of planning. 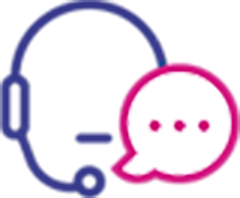 “Implementation of FirstBIT solution enabled an organized workflow, with all quotations created and orders/invoices sent in a transparent way. Account managers became able to keep everything on track and know the status of receivables, bank transactions and cash flows. Standard reports were customized to the our specific needs. “Thanks to the First BIT’s solution we managed to significantly reduce our labour costs for personnel and fiscal record keeping and accounting. Generating IFRS statements has never been so easy and fast! In the past we had to manually collate all data in spreadsheets and then double-check it several times, now this is done by a software we fully trust." "Since we have installed FirstBIT Accounting, we have significantly cut on our labour costs of staff responsible for regulatory reporting. The database is updated on a quarterly basis to include all the innovations in the legislation. We are happy with the software." “FirstBIT solution is easy to install and use, it’s very reasonably priced, and apart from generating accurate current IFRS statements, it also has an option to generate IFRS statements based on our past period accounting records."